Women have traditionally been the object of orthodox ideas of representation and absorbed these into their ways of being. Bangladeshi women traditionally brought up with conventional religious, gender and class instruction develop ingrained ideas of how to be conservative in order to be socially acceptable. 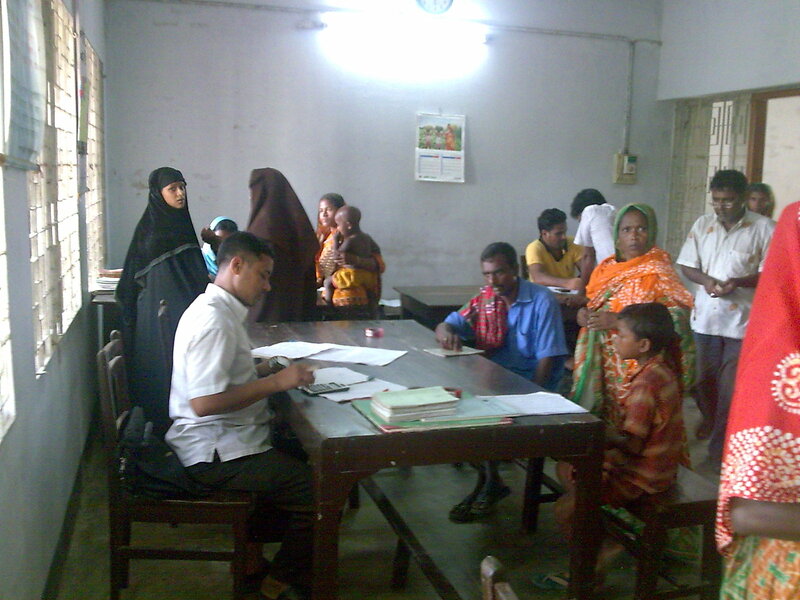 Through the injection of micro-credit and income generation, this condition has gradually been changing in villages across Bangladesh through a process of adapting to a new role in society. Bangladesh’s economy has grown by a steady 6% a year in recent years, and the World Bank reported that the percentage of Bangladeshi people living on less than US$1 a day has been reduced to 40% from 49% (latest figure as at 2005). 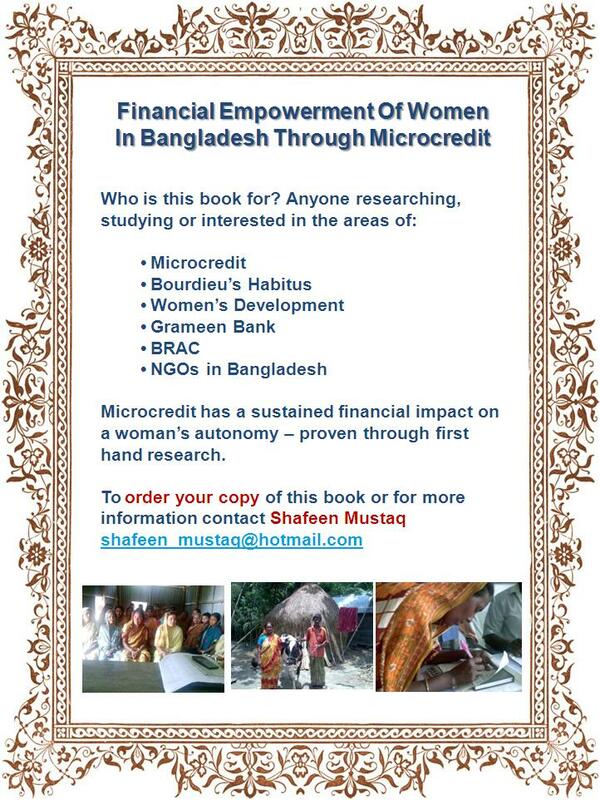 In June 2009, I travelled to Bangladesh to conduct research interviews for my thesis on the effects of microcredit on women’s empowerment. I spoke to women who had lived below the poverty line as well as their husbands, several male borrowers and the employees of the microcredit intuitions. 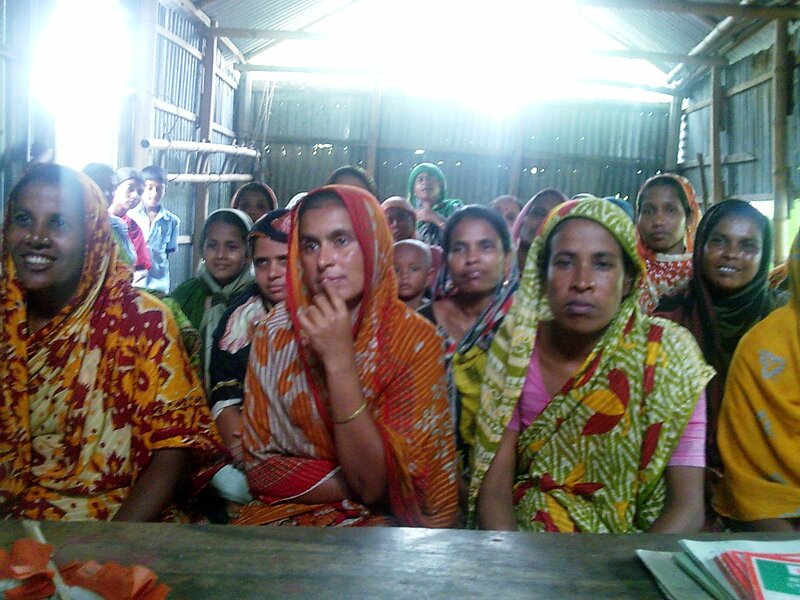 The women were aged 23-64 and had been engaged in a microcredit loan with Grameen, Bangladesh Rural Agriculture Centre (BRAC), Islami Bank or the NGO Proshika from 1-25 years. The women I interviewed spoke openly regarding their experience with microcredit. Their testimonies confirm that they experienced sustained socio-cultural and economic empowerment as a result of involvement in microcredit schemes. Borrowers said they were motivated to apply for a microcredit loan due to the encouragement from bank workers and the success of other women. Borrower participation was based on similar factors: minimal skills, a need to contribute to the household income and self improvement. The women agreed to the conditions set by lending institutions such as Grameen and BRAC and took on new tasks which developed their skill set to reflect their new status as women with greater empowerment, agency and financial input into their family. The women acknowledged that gender and class are factors in play within a society that shapes them and how they interact. Bank workers elucidated that in addition to the women, they themselves were led to conform to the archaic ideologies in society through religious, class and gender related hegemony. The common woman was pressured into accepting political or cultural motives for religiousness and absorbing it into her way of being and hence restricted from achieving empowerment and realising her potential. Employees of microcredit institutions affirmed that even if women recognised they were being dictated to, they were unable to alter the status quo. Now, due to a sustained injection of microcredit along with cultural education women have the confidence to assume economic and social standing. A woman’s participation in the economic arena allows her to acquire cultural and economic experience and develop through interactions in the workplace. As a result existing familial and social relationships are reshaped due to new found confidence, interpersonal skills and the new role of income earner which commands a different kind of respect to that of mother and housewife. Women who were previously only a daughter, wife or mother, now knew how to read and write, little things such as having their own loan books afforded them a sense of control which aided their empowerment. All those interviewed recounted the strong opposition that microcredit institutions and their workers first met with in villages. Women involved in producing a cultural capital through microcredit loans by moving outside the home were seen as rebels as a Bangladeshi woman’s place is traditionally at home. Her entry into the economic field changed the dynamics and gender divisions which dictated society. Consequently, a women’s empowerment is limited by the religious, class and gender boundaries placed on them and affects the degree of change or empowerment experienced by the women. The results of the interviews indicated that women engaged in microcredit loans from lending institutions benefit directly from their sustained interaction with the institution, co-workers and the work they do. Women reported higher verbal proficiency, the ability to write their names, a boost in self confidence and independence. The women also felt motivated to further their skill set or widen their sources of income generation through further loans in order to benefit from a further injection of primitive capital in light of the increased autonomy, agency and respect they received as a result of their financial contribution to their households. 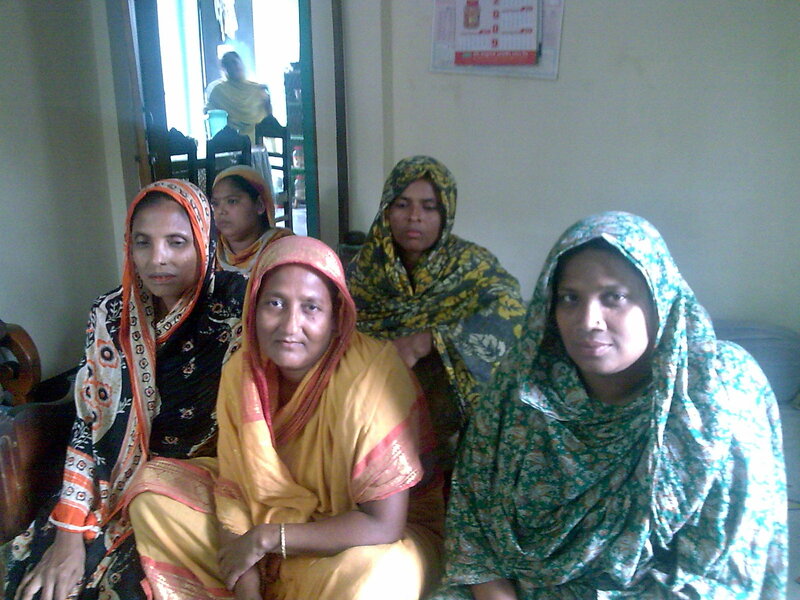 While the microcredit schemes of Grameen, BRAC and other microcredit institutions all set their own conditions (not all of which are beneficial for the client), microcredit has provided village women in Bangladesh the opportunity to gain communication and interpersonal skills, independence and a position of authority within the family environment. It has motivated them to grow and develop skills which allow them to proceed onto skilled labour and open up new avenues of opportunity.